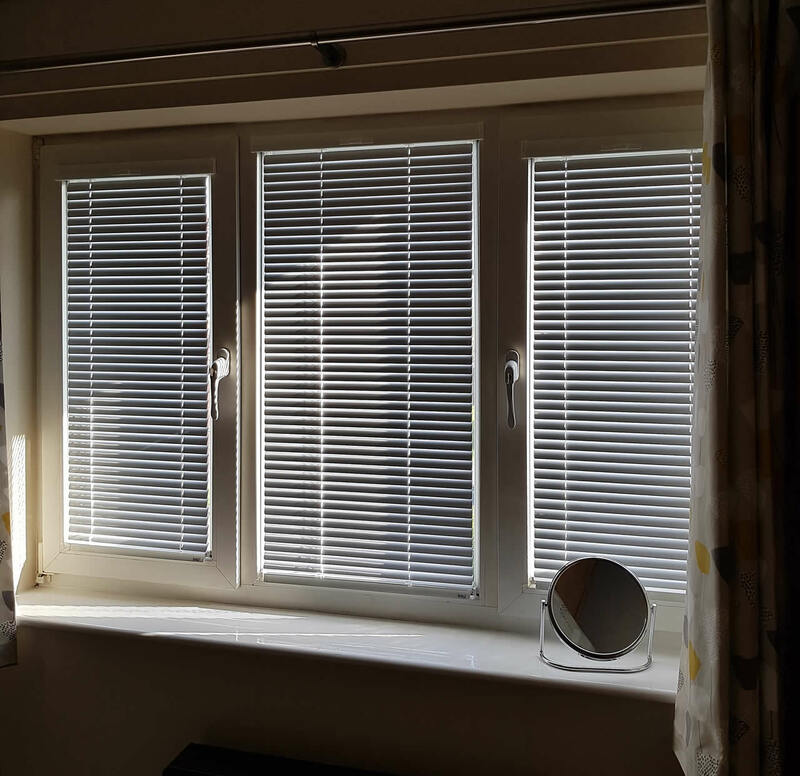 Intu 25mm Polar White Venetian blinds fitted in Kitchen & Dining room in West Malling, Kent. 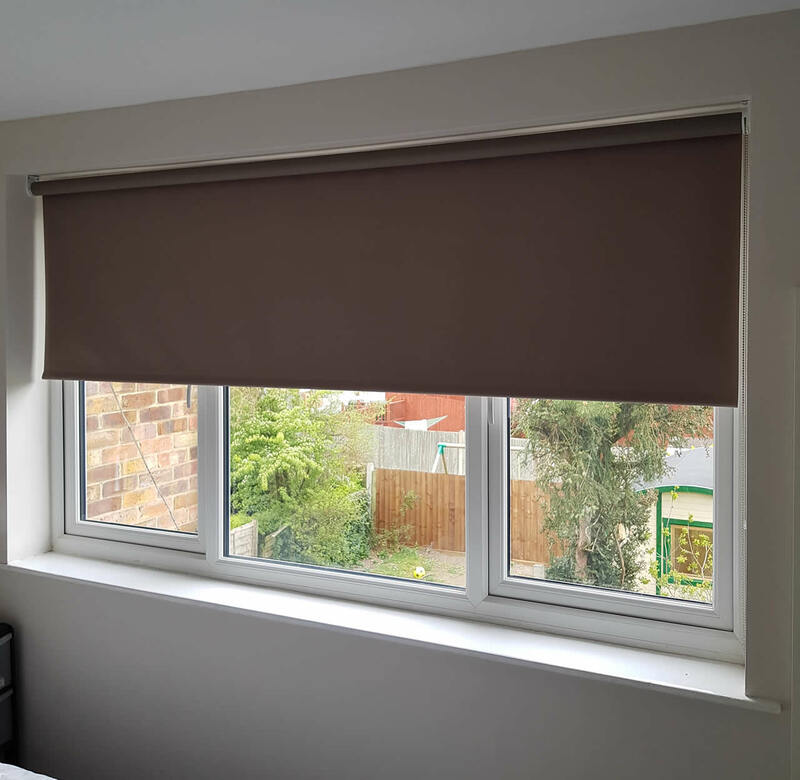 These blinds are a great choice for privacy & light control. They clip on to your windows & doors so no drilling is required. Style Studio Fabric - Stunning! Roller blinds & Roman blind fitted in Gravesend today. Check out the great Style Studio fabric. 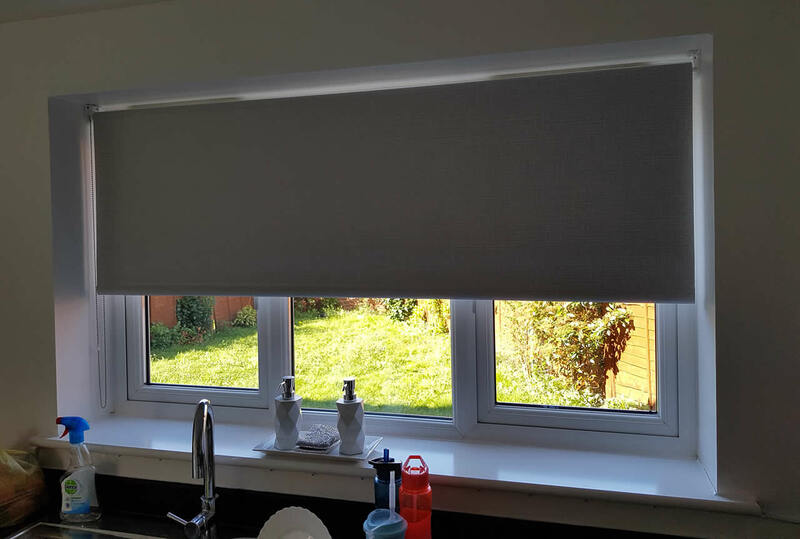 Matching Roller & Vertical blind recently fitted in a Kitchen in Gravesend. 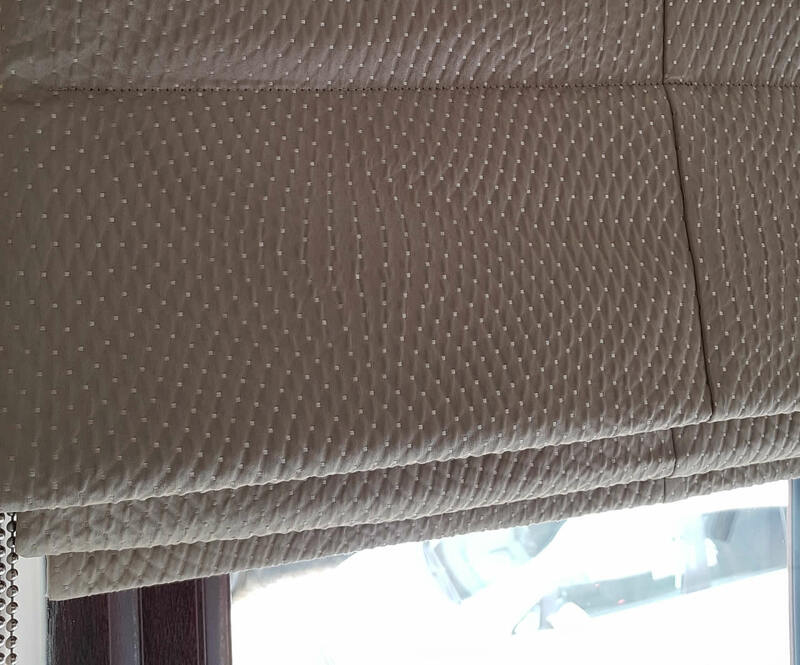 The rest of the house was also fitted with same PVC fabric. This was a great choice fabric as you can clean it really easily. 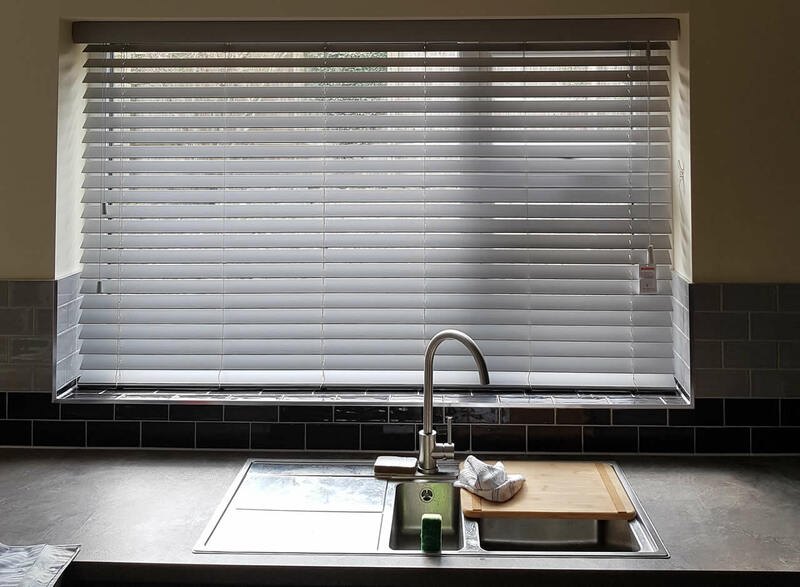 50mm Faux Wood Venetian blinds that were fitted in New Eltham. 50 Shades of grey? ....Well one actually; grey is a really popular colour choice at the moment. Keep your room looking smart & light with White! 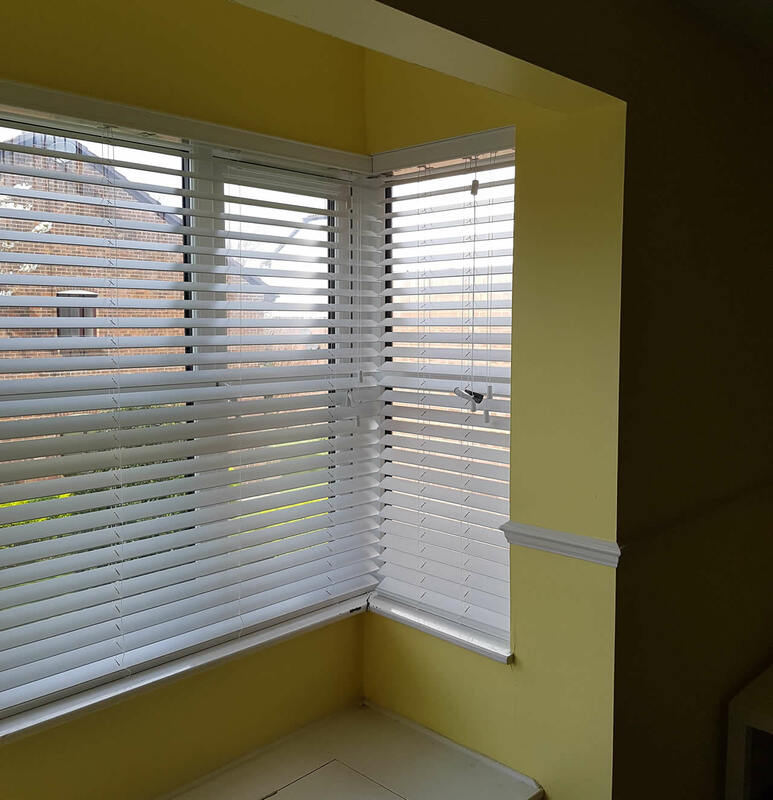 The Kitchen,Lounge & Bedroom fitted with lntu Venetian blinds. Perfect for inward opening windows. Providing privacy & light control. 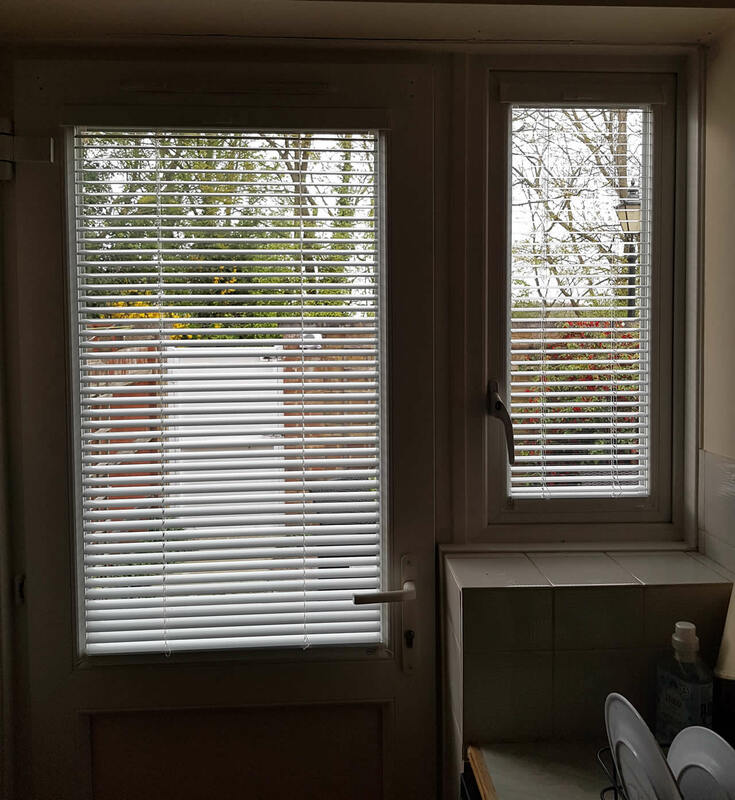 Intu Micro White Cellular blinds fitted in a dining room in Dartford. 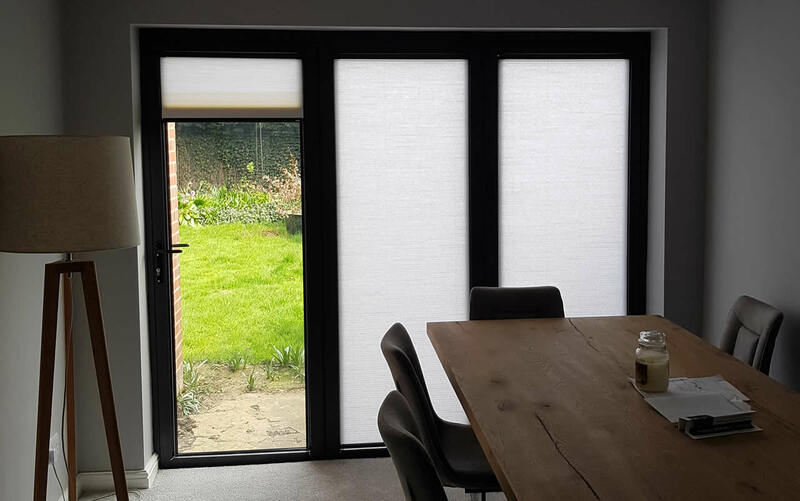 These blinds are the ideal solution for Bi-Fold doors.